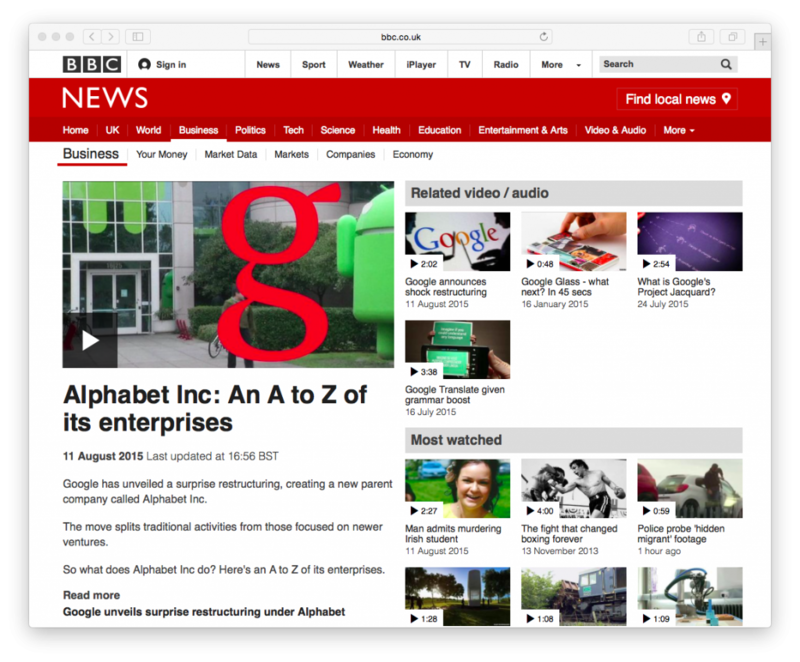 Previously, I’ve covered how to get HTML5 videos on the BBC website without installing flash and how to do this in Firefox. There is only one other major browser that doesn’t have flash embedded and that is Safari on Mac OSX. There’s a super simple way to watch BBC videos with a fresh install, out of the box. Watch this video to see how it’s done. How meta. If you can’t or don’t want to watch the video here’s some text instructions with pictures. With a fresh OSX Yosemite install trying to watch BBC videos results in the Flash Player install error message. 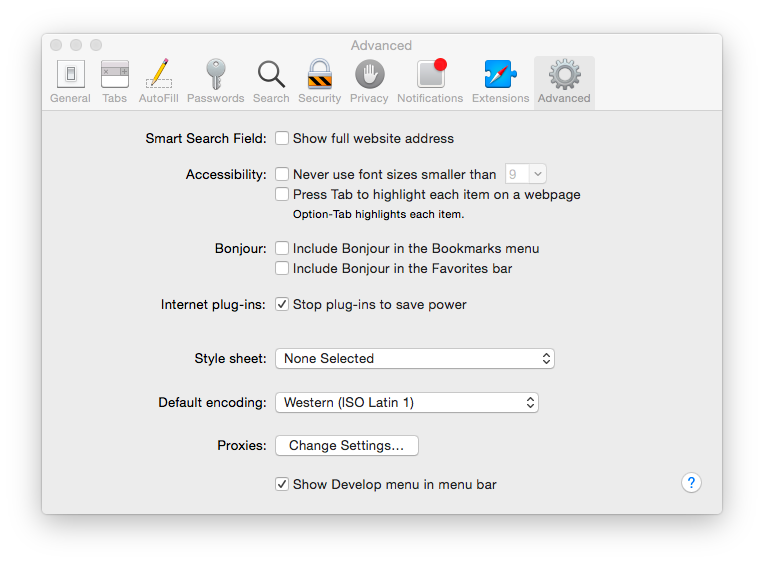 Click Safari in the top left of the menu bar then click Preferences (or press cmd+,). Then click the Advanced tab at the far right. Check the Show Develop menu at the very bottom and close preferences. From the new Develop menu in the menu bar select User Agent and choose any iOS option. The page will now reload and you can play the video. Yay! Hopefully the BBC will get their act together and stop forcing users to install flash player. I suspect they only like flash so they can get better information on how far into videos people watch.